This is such a great add-in to my shakes & smoothies! I hope the rumors are wrong. Please continue selling this product! I have been using the Superfood for the last 4 - 5 months and was told recently they are discontinuing this product. I am highly disappointed. I'm so happy I got this. 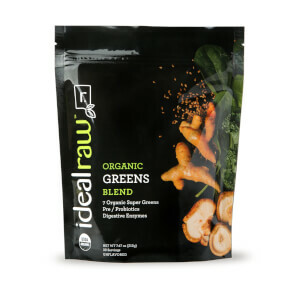 I first tried the Greens, but unless it was mixed with Chocolate protein, it had a funky taste I just couldn't ignore. I love fruits and veggies but sometimes I feel like I don't get enough in my diet. That's when I decided to go with this. I'm so glad I did. 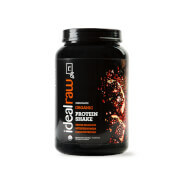 So far I've only mixed it in my protein (both mocha and chocolate pb) and I haven't tasted any funky aftertaste. It makes me feel good knowing I'm drinking something healthy for me and it tastes good too. Will definitely buy again. 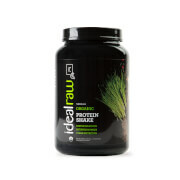 I recommend IdealRaw products to people all the time and will continue to do so. Love the superfood! I've tried a few others and do not like the taste. This one Is great and doesn't change the flavor of my shakes! I have bought this twice now and will do so again. I love adding it to my shakes and food too. Doesn’t have a bad taste at all. I really like getting the extra superfood into my families diet. I would definitely recommend. Great products. Also much cheaper than buying all this fresh. This is perfect for me on days I'm too busy to keep my eating on track. 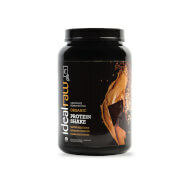 I add a scoop to my shake and I know I've given my body clean nutrition and fuel to keep moving until dinner. It's a great way to amp up your shake on days you're feeling run down as well. Highly recommend!! 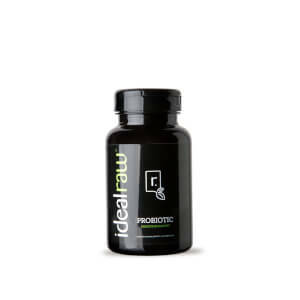 I really enjoyed this product! I love adding it to my green smoothies for breakfast, it gives me an extra boost in the morning with the delicious vitamins it has! If you are feeling sluggish and need a healthy pick me up that is not loaded with caffeine and sugar then this is definitely an amazing alternative! Works better than advertised, I could not be more satisfied. Does not change taste of my shakes. It doesn’t have any flavor at all so it’s good to mix it with pretty much any drink & you still get your nutrients. However, you do feel the seeds when your drinking it with whatever you mix it with. I never tried it in my recipes (like pancakes) but I’m sure that wouldn’t be too bad. May or may not order again. 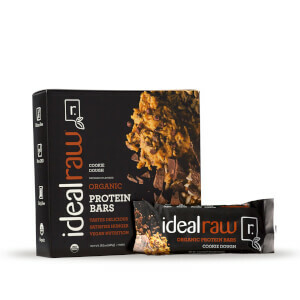 I love the fact I can get my vegetable and grains serving all in one product. Easy to use, I place a scoop in my Ninja blander and use fresh pineapple or cantaloupe plus 8 oz of water. I like that it adds a little of sweetness without being overpowering.